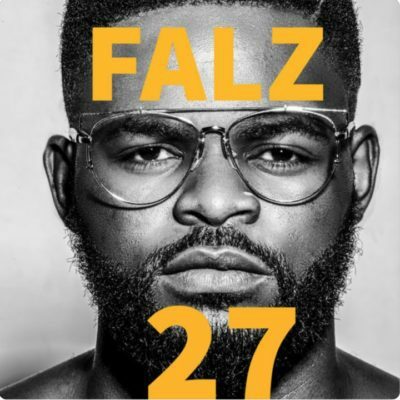 Falz Releases a Suprise Album ’27’ To Mark His Birthday – Royal Times of Nigeria. Folarin Falana, better known as Falz, has dropped a surprised album to celebrate his 27th birthday. The surprised album is titled ’27’ contains 17 different gifts . featuring industry favourites such as Burna Boy, Wande Coal, Ycee, Terry Apala, Maleek Berry – with Davido and Olamide on the previously released “Bahd Baddo Baddest”. On this album, Falz continues his seemingly endless winning streak since he burst on the scene.27 consists of already existing favourites such as “Jeje“, “Something Light” and “Wehdone Sir“. Other tracks that stand out are “Next” ft Maleek Berry, “Way” with Wande Coal and in typical comic Falz fashion, “The Lamba Song”. This album came right in time for weekend festivities and we can’t wait to bop to it properly! Falz recently won the ‘Best Male West Africa’ at the 2017 Africa Muzik Magazine Awards & Music Festival, held in Dallas, Texas. Happy Birthday, Falz!